As I pushed the paint around with no destination in mind, I began to see images of a hill and Cyprus Trees. The emerging shapes reminded me of Cortona, Italy. (I will be teaching there this May.) The warm reddish rust color hinted of rooftops and the warm patina of the ancient city. A pattern of rectangles implied the narrow cobblestone streets, and the quiet shape on the right of the hill could easily represent Santa Margherita Church. My fondness for this Tuscan venue came to life with each brushstroke. When turned the photo 180 degrees....I liked it even more...it was still Cortona, but at night...the road to the top of the hill had the Cyprus Trees flanking it, the wall around the city was grey and pronounced, and the light at the bottom of the composition seemed to lift the hill higher! 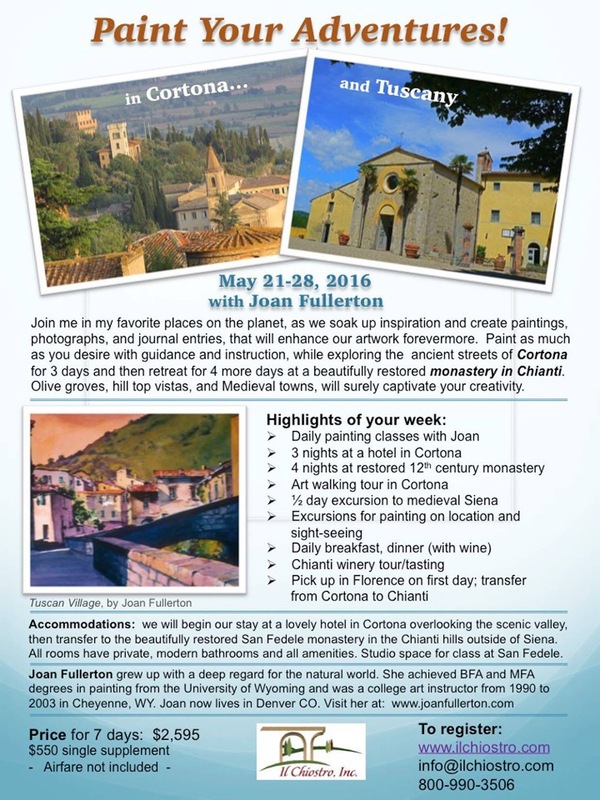 Want to have a life changing adventure with me in Italy? READ BELOW to lean more. 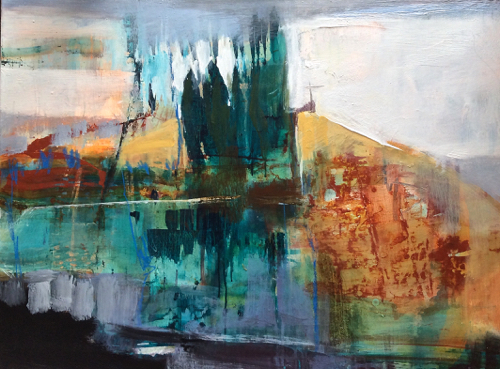 Day 25 of Leslie Saeta's 30 Paintings in 30 Days Art Challenge. Want to view a portion of my creative process and see the face that lives beneath the layers? Paint with me in ITALY...click HERE to learn more.